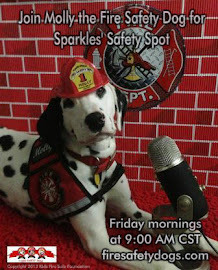 We just live streamed our 145th episode of the live streamed children's safety show, Sparkles' Safety Spot, LIVE from Sparkles' Clubhouse in Clarksville, Arkansas! 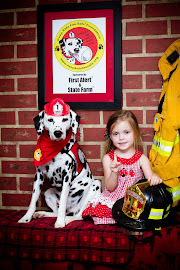 In Part I of our series, "Firefighters are Community Helpers and Friends," we shared the video that we took while at the "Fill the Fire Truck" Cereal Drive in Little Rock. The Little Rock Fire Department and KTHV 11 held the event to support the local food bank. Firefighter Casey Reep shared how firefighters are community helpers and how he likes to help his community. We also hear from Firefighter Bo and see a ladder truck lowering its ladder! Thanks to Firefighter Bo Hagar, Firefighter Casey Reed, Division Chief Joseph Gray and Fire Chief Greg Summers from the Little Rock Fire Department. 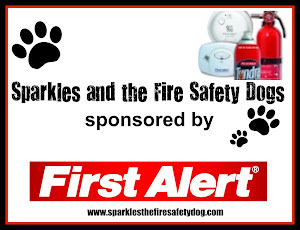 Brought to you by the Keep Kids Fire Safe Foundation and First Alert. 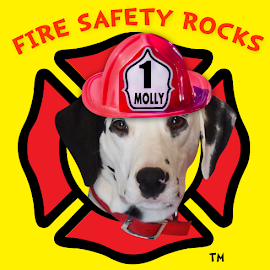 Join me, Molly the Fire Safety Dog. 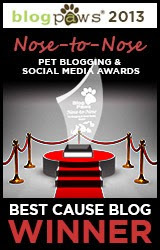 on Facebook! 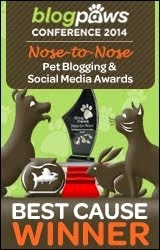 Book your Skype Visit Soon!